Bedmo Disco’s own bearded wonder has finally got around to recording another solo mix, after what seems like several centuries. 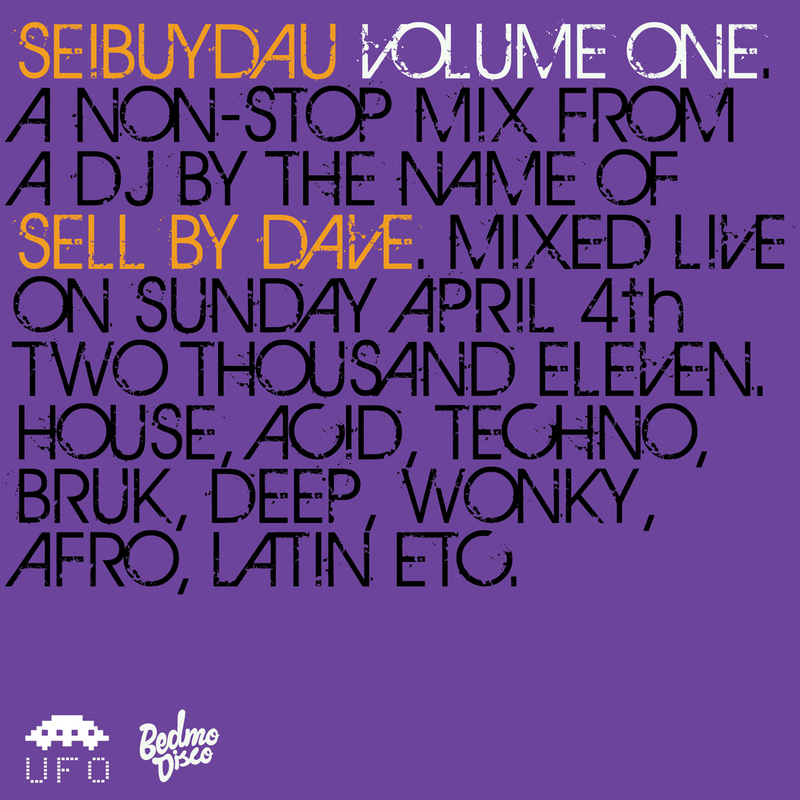 Thrown down on a Sunday afternoon in one take, live style, “Seibuydau Volume 1” sees Sell By Dave mixing up all manner of house, acid, techno, broken beat and such like in his inimitable style. It’s more like the style he plays in at the UFO Bristol parties then Bedmo Disco, but it gives an idea of his scope as a DJ (or so he tells us, anyway).